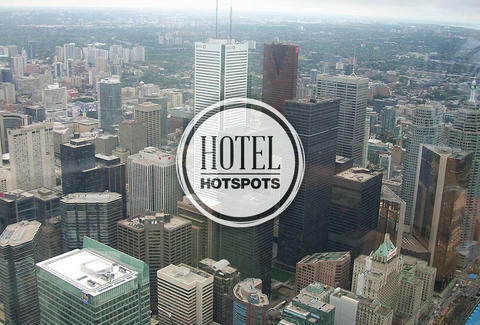 If you're going to, er, TO, you'll wanna know where to stay, so that's why we've plowed through the extensive selection of hotels on offer and put together this gloriously all-encompassing list of the city's best sleeperies, broken down for any budget or occasion. 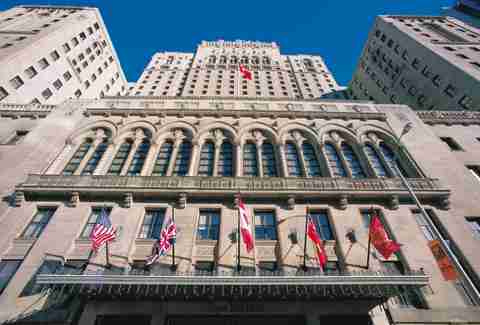 Toronto’s Royal York Hotel is undoubtedly the most iconic in the city. 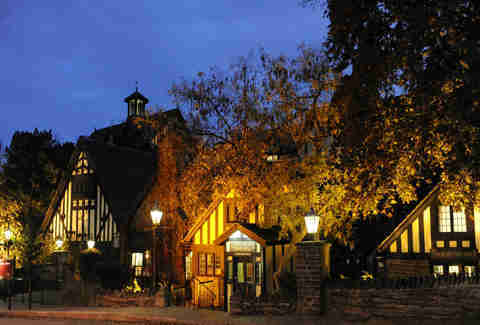 Steeped in history and loaded with amenities, it's packed with five restaurants, four lounges, ultra-lux rooms, and mad flags. Not that you'd need to, but if you do find yourself leaving, you’ll be in the heart of the city, too. Steps from the Financial District and Union Station, The Strathcona’s uber-convenient location and totally reasonable pricing are aided by a crazy 11 different room types, incl. six business-specialized "executive" sleepers w/ desks, WiFi, flatscreens, and rain showers. You'll be able to sense the sleek, exquisite atmosphere of the Thompson Hotel from the street. 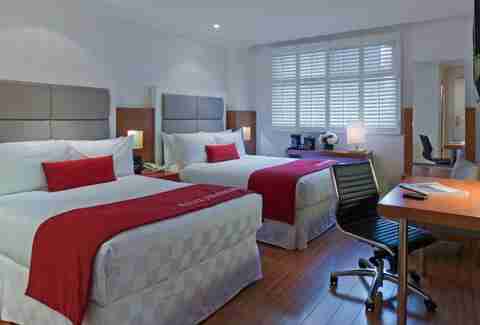 This high-end boutique hotel has dark, cozy rooms with Dean & Deluca minibars and infinity bathtubs (note: just one per room). It's also home to Scarpetta (a regular on Toronto's best restaurant lists), there's a rooftop patio, and the staff members are some of the most professional in the city. Boasting simple yet sleek wood-floored rooms (that come w/ free WiFi & iPod docks), BP is really all about the location; a short walk to Yonge and Dundas, you can catch a free show at Y&D Square, roll down bar-magnets Queen/Church Street, and hit the Rogers Center all within minutes. This Tudor-style mansion has an on-site spa, fine diner, jacuzzis, working fireplaces, and pretty extensive gardens for getting all romantic and such. There's even a couples package, in case you want to go the extra mile and get your four-post bed strewn with heart-shaped rose petals, wine, truffles, and, strangely, zero cheese. 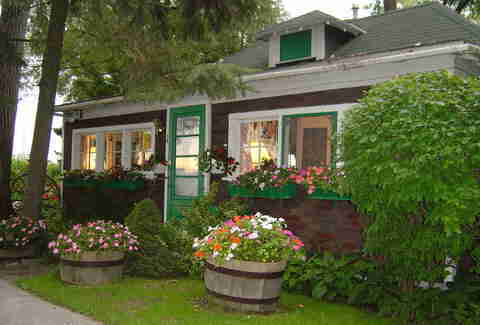 There are a bunch to choose from on Ward's and Algonquin island, ranging from B&B's to entire cottages and even a boathouse. They're all totally affordable and will net you a mad-romantic city skyline view (plus beaches with rentable kayaks... because kayaking's romantic, right? ).